The Mystery is: a day spent at Shipwreck Island Waterpark! The kids were pumped and excited beyond measure. 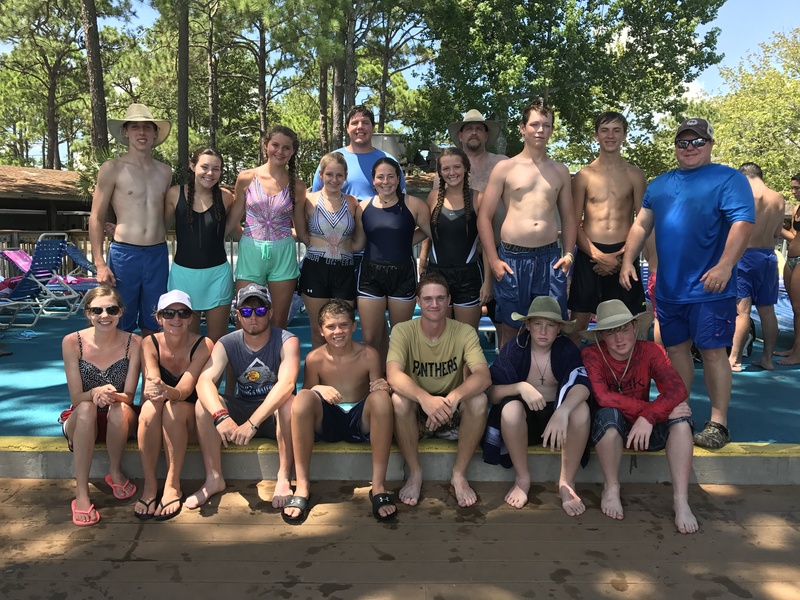 We spent the day going down numerous slides and floated down the lazy river, followed by a delicious and nutritious lunch of cheeseburgers and chicken tenders. It was a very fun day, and our students had a blast. As we wrap up this day and week, we also come to a close to 1 Peter and our studies. We look at the life of a Jesus follower, and how persecution plays a part in that. In his book, Peter assumes that Christians will suffer for their faith, and we are uncovering how that applies to us today. This week has flown by, with many fun memories and experiences. I want to take this time to say thank you and give a shout-out to the adult leaders who sacrificed their time to join us on this trip. BR Permenter, Richard Chandler, and Janet Gordy have gone above and beyond everyday to help lead and guide our students this week. They have done an incredible job, and this week could not have happened without them. Also, Maegan and I could not have driven all of the vans ourselves! Thank you for everything. Don’t fret, parents. We will be leaving tomorrow morning, and your students will be home in time for dinner. See you soon!